We'll be in touch as soon as we can with a quote for the modifications you requested. How can we make this perfect for you? What would you like different? Beautiful boutonnieres and corsages that are perfect for any special occasion!! Find the perfect size for your event. 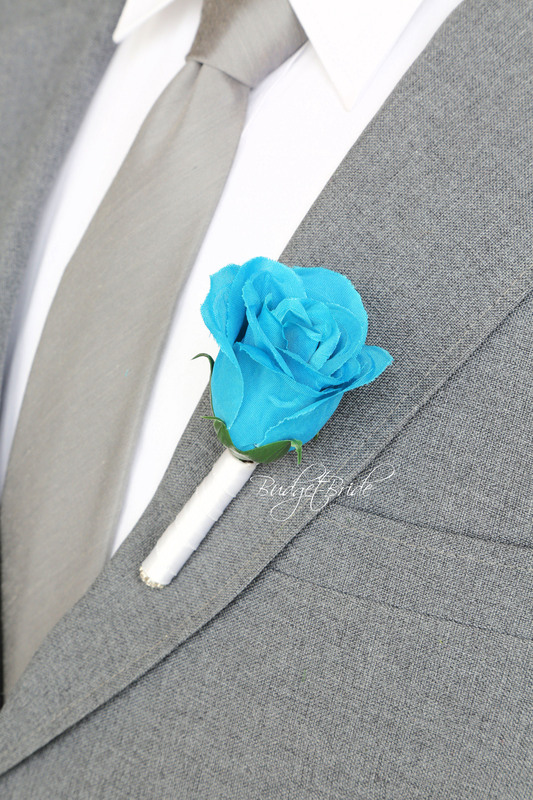 If you do not see the boutonniere or corsage of your dreams, you can custom design the perfect match for your special day. Change colors, change ribbons, add bling, we can help you create the most amazing design just for you. We can custom design to match any David's Bridal colors. Please email us at info@budget-bride.com or click the "CUSTOMIZE" link above and tell us what you are dreaming of! Copyright Budget-Bride.com. All Rights Reserved. eCommerce Software by budget-bride.